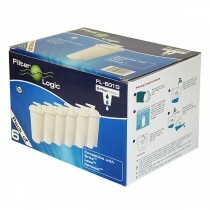 I’ve bought from Finefilters before and have no complaints about their service, on line buying and delivery. I take these filters away with me for our holiday home and use them in London as well so this is a handy pack for me to buy. I’d recommend Finefilters for their huge range of filters. Great find. Always good to do business with these guys,quick efficient and great prices.can recommend.